HomeBlogApplicationWhy OneNote is the ultimate note-taking tool? 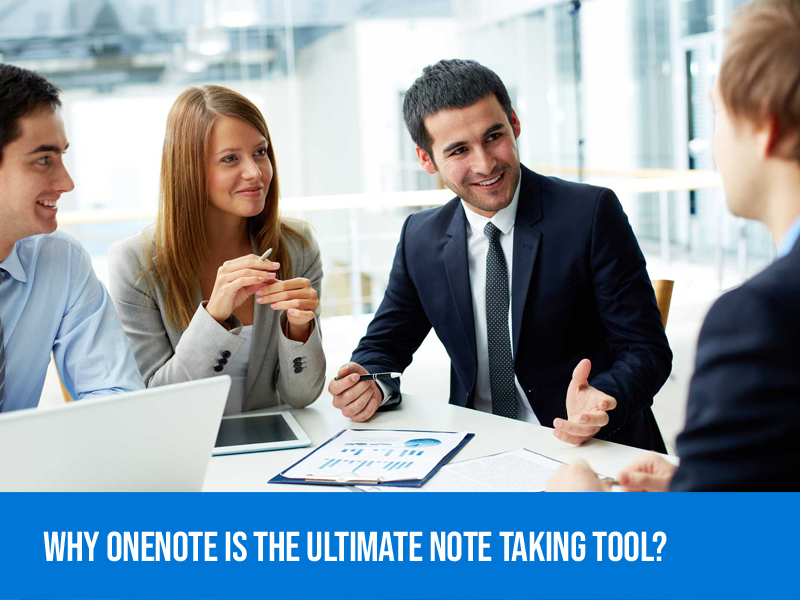 Why OneNote is the ultimate note-taking tool? Content comes in all kinds, on a daily work structure, we carry out diverse documents and tasks even contacts. SharePoint provides facilities for every content to be stored and retrieved. But we usually have “everything else” category – which usually don’t fit into any of the usual contents, these includes informal notes, drafts, etc., According to me the best tool which would help us out in sorting these miscellaneous files is OneNote. OneNote is Microsoft’s digital note-taking application, which comes as part of Office 365 package options. OneNote online is a commonly known tool which looks similar to the other office tools like MS Documents, MS Excel, etc., the horizontal ribbon provides commands like any other Office 365 Tools for collaboration and for project management. The best thing is that just like MS Office and other tools, OneNote also comes as a Mobile App, which is easy-go. OneNote is designed to have a “paper” notebook style for organizing and storing notes electronically. Just like a normal paper-based notebook, where you have different pages and sections. It even follows the same terminologies as such a physical Notebook is. Pages would be your regular pages in a notebook. For illustration, you can create a page for every meeting, whenever agenda and minutes of meeting would be stored. Pages are then organized into sections. A section is how you`d usually break down your paper notebook, right? 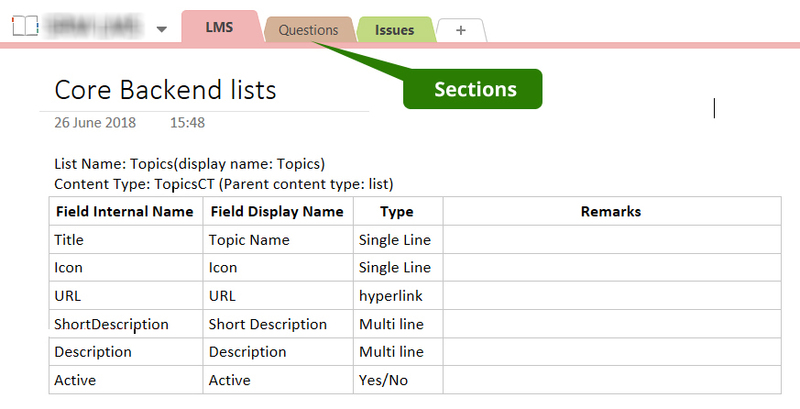 So you`ll be able to a section for Meetings, a section for Project Issues, Business needs, etc. Pages and Sections make up a single Notebook. Of course, you could create many different notebooks. For illustration, you`ll be able to create a Notebook for every project. 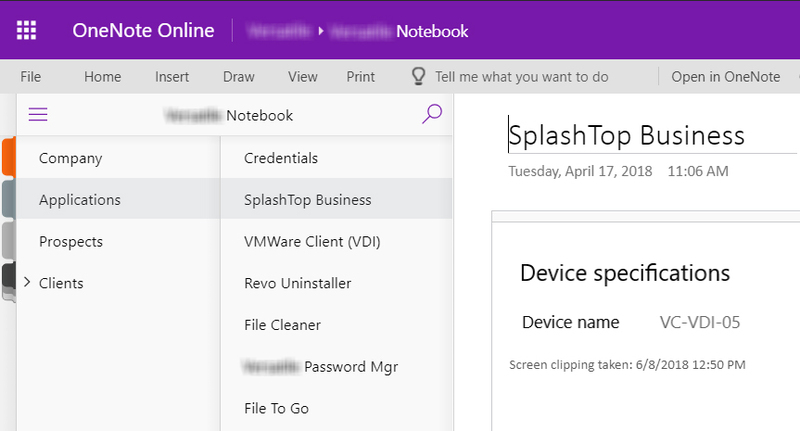 Every time we create a SharePoint Site, OneNote comes stapled with it by default. It’s part of Site Assets Library which also would create a link from quick launch navigation. 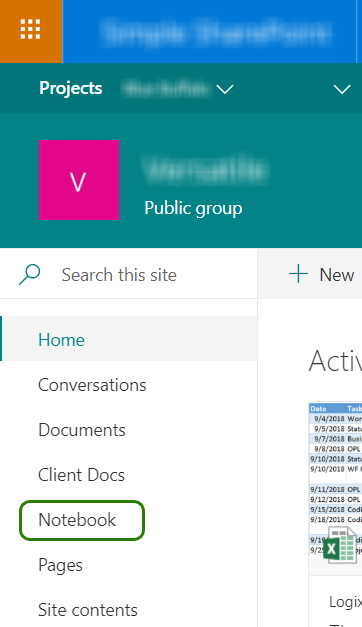 Similarly, anytime you create an Office 365 Group, OneNote is additionally included by default and is accessed via prominent link/navigation. Even if it comes along with Planner and Teams. OneNote requires no mental effort when it comes to quick note-taking while working with other types of content. 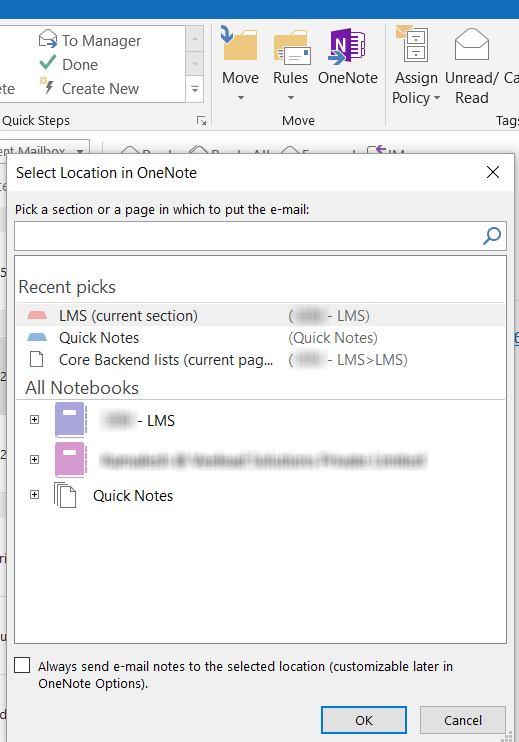 OneNote seems to be integrated with Outlook which is excellent for easy management of pulling your meeting details, embedding notes into your appointments invite with just a click away. Just like SharePoint/OneDrive, and other MS Office tools, OneNote additionally contains mobile app. These apps can permit, you to own the entire Office 365 mobile experience and will no doubt make you more productive! This makes OneNote simply accessible from the “field,” wherever there`s no time to create formal documents. One essential feature of OneNote is that it comes Online, isn’t that awesome, yeah! you can easily edit, work on Online with OneNote. OneNote is great for Project Management. 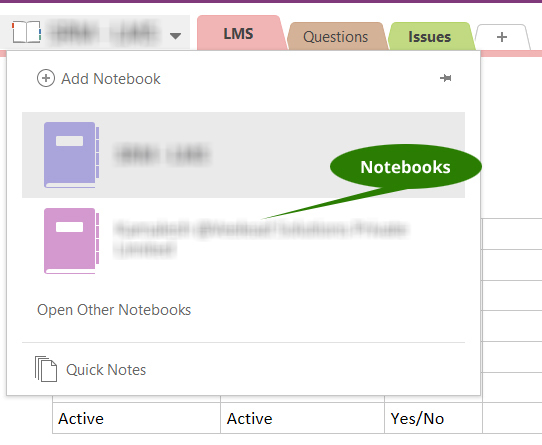 OneNote pages can be used to communicate meeting agendas, minutes of meeting, project status. OneNote is being extensively used in the field of project management. To build a company Wiki a lot of organizations uses OneNote. Of course, OneNote allows all sorts of fancy editing like ability to insert and format tables, videos, images, etc., On top of that, OneNote Notebook is fully searchable, which means that users can search by any keyword! So, this makes OneNote a great tool for a company or even a department Wiki. OneNote can also become a great tool in gathering, business requirement for software or wish list items/feedback from users. OneNote Might be a quick way to gather some input from users without formatting a complicated surveys or structure.